Annually, the brightest minds in the local search field come together to provide their input on the major changes and trends in the industry via the Local Search Ranking Factors Survey. Coordinated by Darren Shaw from Whitespark and the fine folks at Moz, the 2018 review of local ranking factors helps to coalesce the general sentiment around the most impactful inputs as they relate to local searches. 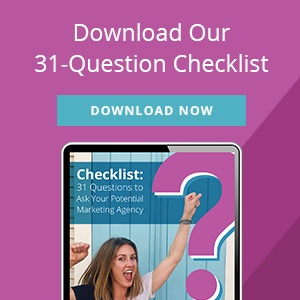 This survey is a great resource for digital marketers because it not only helps us understand the changes in the last year, but also how to better focus our efforts and energy moving forward. Here at Search Influence, we are fortunate to be one of the contributors to this survey. With our experience in the local search realm across numerous industry verticals, we are well-equipped to help add more context to an, at times, confusing digital marketing landscape. As expected, much of what we saw in the day-to-day management of our clients’ local search campaigns was reflected in the results of this year’s survey. What’s the Biggest Local Search Trend for 2018? According to the results of the survey, the biggest local search trend is Google My Business management. For those of us who spend countless hours wrangling Google My Business (GMB) and/or Google Maps accounts, the attention Google has put into the product is obvious. With the addition of Google Posts, Google Q&A, website builder, services, expanded attributes, primary and secondary categories, etc., it became clear that GMB was being re-positioned as a social, activity, and information hub for potential customers, current customers, and the business, in some part to offset the loss of Google+ as a business platform. Understandably, digital marketers have found GMB signals increasingly important year-over-year. It is pretty straightforward, intuitively—use the new features introduced by Google to help with local search performance. However, many businesses and digital managers fail to follow up once these new features are rolled out. Of the eight signals measured in the results, GMB makes up 25.12 percent. As you can see in the image above, this is a large increase from the previous year’s data. Ensuring that your business has a properly optimized listing will go a long way in determining the vitality of your business in a local search context. Along with increased profile options, Google has started taking steps to help increase review participation on the Google My Business listings themselves. Through new mobile app features, new messaging features, and other small tweaks, Google has made it clear that they do not just want users leaving reviews for the business; they want to make sure businesses are interacting with their reviewers as well. One prevailing thought derived from the data points is that Google is making an effort to create a quasi-community around business listings, making it so users do not even feel the need to click through to a client’s website. There is ample room for discussion about the pros and cons surrounding that concept, but, as a practical matter, digital marketers and businesses should be keenly aware of this trend and know how to best leverage it to convert potential customers. This fact is reflected in the breakdown of the influence of review signals. As seen in the table above, the influence of reviews on listings has increased significantly year-over-year. As businesses begin to compete more and more for the “Local Pack,” reviews may be a large factor in whether or not your business becomes listed. Encouraging your customers to review you on Google, whether positive or negative, will help Google know your business is active. What’s more, if you, as a business, respond to the positive and negative reviews, you are adding a valuable signal to Google, as well as displaying good customer service. But, What Happened to Links and Citations? One important thing to consider in regards to this survey is that just because something has become less important relative to other factors does not mean that it has lost significance. A good local search strategy encompasses a holistic approach that implements strategies for all of the different factors, of which linking and citations are a significant portion. Part of the reason these factors have seen a dip in relevance is because the other factors have become more influential—in other words, the overall results have become a bit diluted due to the increasing number of factors. To rephrase, linking and citations are still a large, integral part of a good local search campaign; however, you might want to get a wrangle on your Google My Business and review situation prior to embarking on a full-fledged link/citation-building campaign. So, What Are the Other Factors? A large portion of the review is the section-by-section breakdown, along with a helpful glossary, to help you fully understand how each factor is weighed and what digital marketers think. It is important to distinguish between organic search results and the “Local Pack,” as both have different considerations when it comes to ranking signals. In lieu of breaking that down here, I suggest reading the data supplied in the post on Moz’s blog, as well as Darren Shaw’s companion piece explaining the survey. Local search is a constantly evolving, dynamic field that requires actively monitoring changes to platforms and signals, and to Google’s new product rollouts. Undoubtedly, there will be some disruption in the local search field via a new product, new algorithm, or cosmetic changes, but these surveys give us the historical context to better understand why these changes might have occurred and how they might impact future usage. If you’d like help building a dynamic marketing strategy that encompasses these trends, reach out to Search Influence to request your free marketing analysis.